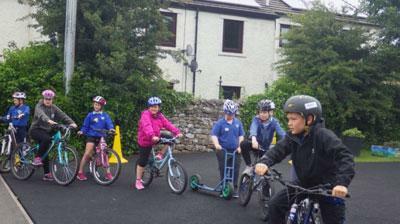 Years 5 and 6 took part in Bikability over three sessions from 28th - 30th June. 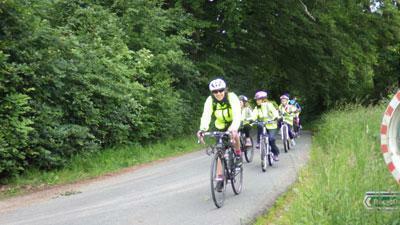 The sessions were led by Annie, Rachel and Jo from Eden Valley Sports Partnership. They started off by learning how to run checks on their bikes (the M check) and how to start and stop safely - doing activities in the school yard. They then moved out onto the roads learning how to cycle single file and in pairs, learning how to signal, do emergency stops, over take parked cars and where to position their bikes safely on the road. 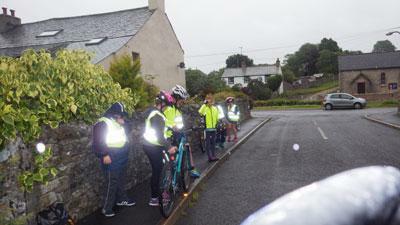 On Wednesday afternoon they focused on junctions: learning how to approach a junction safely using their signalling. 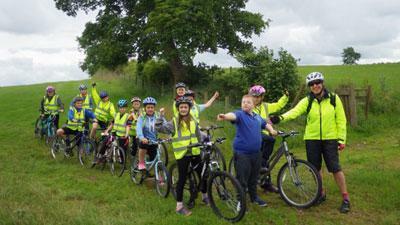 The final session was on Thursday, they ran through signalling and junctions again before venturing out of the village for a longer bike ride. They cycled up to Drybeck and turned right at the Hoff and Appleby signpost where they stopped for a snack before cycling back. The children got a chance to put all of the skills they had learnt into practise as well meeting large vehicles such as tractors on the road. Oliver joined in this activity by joining them for the snack and running checks as they arrived back at school, he was looking to see if they were looking for cars and stopping correctly. 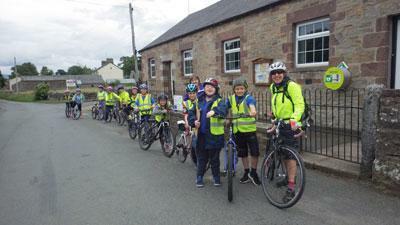 Everyone finished the Bikability gaining a level 2, Annie presented them with a badge and certificate.